On January 31, 2016 in Round-up with 11 Comments. Lots of our fans have been messaging us lately asking for the best piece of advice when it comes to building a log cabin home. So we decided to go out and speak with 21 influential log cabin owners, builders, and manufacturers and asked them for their best tips, tricks and secrets when it comes to building a log cabin! 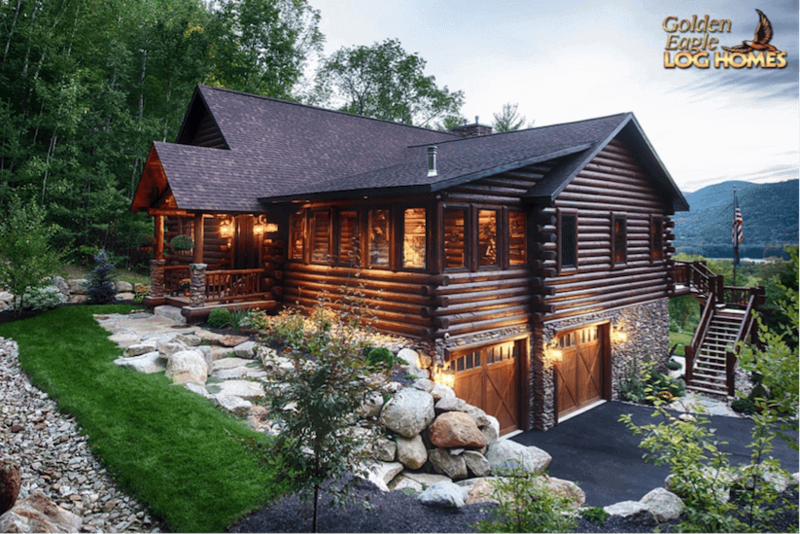 Some of the 21 are authors and famous log cabin enthusiasts, and some are the world’s oldest log cabin manufacturing companies, but all of them have world-class experience and knowledge when it comes to building log cabins. All of their responses are in, so sit back, enjoy, and learn all you need to know before starting on your next log cabin project! The Youngstrom family owns yellowstoneloghomes who have shipped over 10,000 log cabin kits around the world from Idaho since 1962. Keep your logs dry! I would suggest that you are certain you are getting dry logs for your home. 20% moisture content is considered green. Kiln dried logs are usually dried to 19%. 12% to 15% is better. With lower moisture content in the logs settling becomes a non-issue. Provisions like settling jacks can be eliminated from the structure with dry logs. Long roof overhangs, covered decks, and proper landscaping should then be included into the design to keep water off from the logs after they are installed. Roof overhangs should be at least 3 feet. Sprinkler systems should be kept well away from the logs – a malfunctioning sprinkler head can spray logs and go undetected for months. David is the Chief Executive Officer of Alta Log Homes who have been building hand-made rustic log cabins since 1971. I think getting the design right is important for the following reasons: It will help you get the house to work better on your land for energy efficiency and future maintenance, as well as make sure it can be built within your budget. 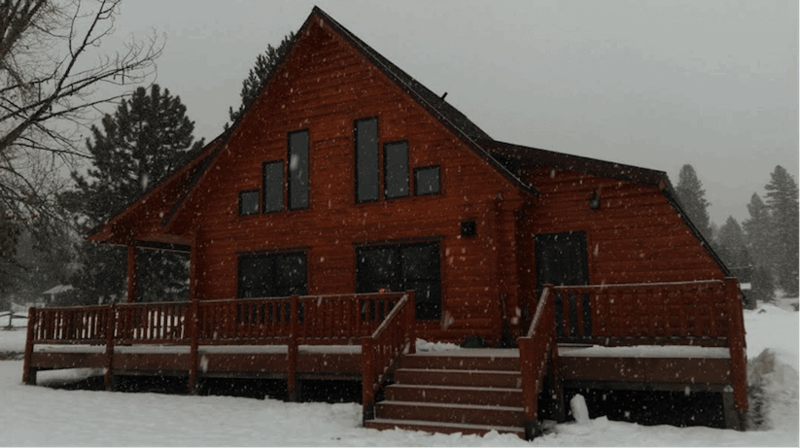 John owns Schroeder Log Home Supply – a hardware marketplace for log home supplies and tools. These considerations early on will make the maintenance of the home a cinch. It’s when the home is exposed to too much sun that you have to re-stain/re-finish your home much more often, and it’s when the home is exposed to too much moisture that you run into the eventual decay of wood. Plan to keep the sun and the moisture off your wood and your home will last “forever”. Doug is a log cabin owner in Georgia – United States. For me, I would say that the #1 most important tip is properly protecting your home from the elements (Water/rain/snow, termites, everything else). Now, this is true for every home built in the world, sure. But, log homes and cabins can incur damage from these elements far easier than traditional housing. 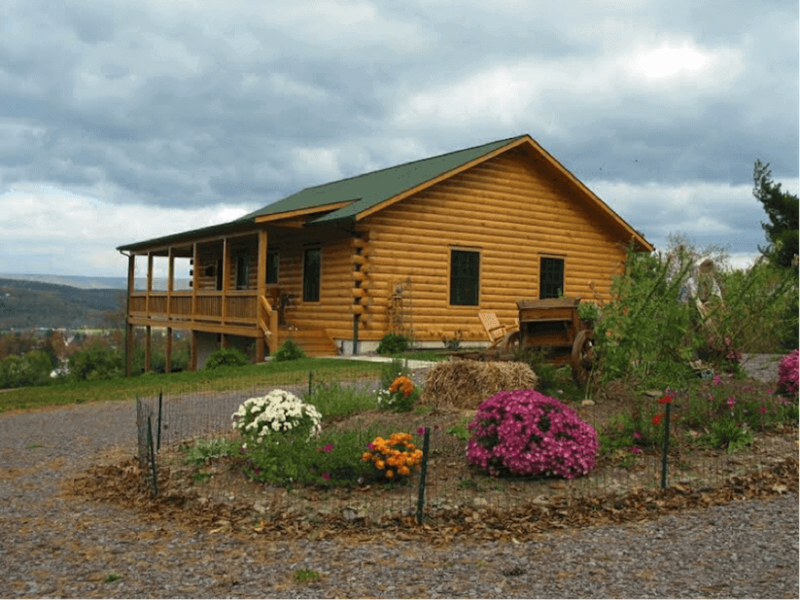 Joe is the owner of Timberhaven Log Homes in Pennsylvania provide high quality kiln-dried logs for your log home. The single most important tip I can think of is “Don’t make your selection of a log home manufacturer based on price alone”. 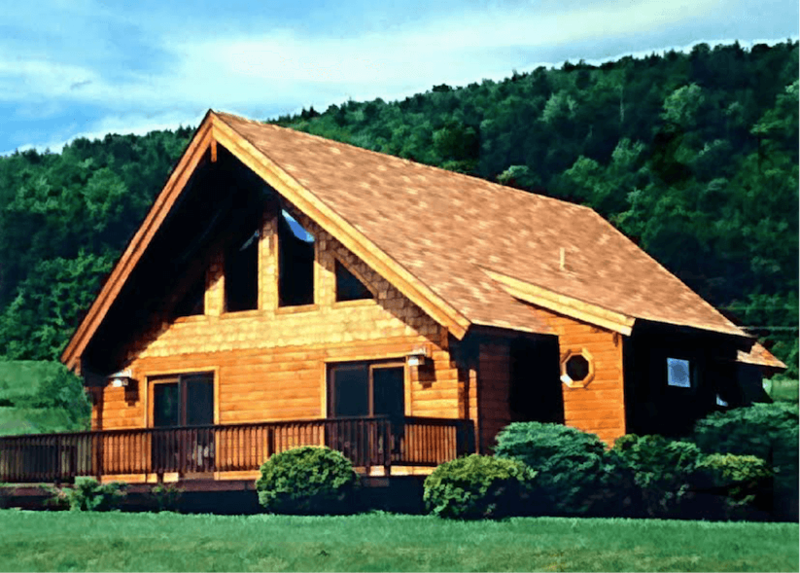 Every log home company supplies a different level of completeness and quality standard. Know what you’re getting, via a detailed estimate/quote, before making your decision. Hank is the founder of Gold Valley Log Homes who provide expert advice in the design and planning process for log cabin homes. The most important thing that anyone can do when building a log home is to obtain their log home building material package from a company that has a high degree of integrity, who does all they promise from your initial conversation through the completion of your log home. That means that the material they provide performs as claimed and they not only have the knowledge and personal experience to assist you with guidance beginning with your home design through the construction process and completion of your home, but are able to articulate that information in a way for you to make the right decision to have the home of your dreams. Billy is a log cabin owner in Canada and an enthusiast with a YouTube channel to document his adventures. 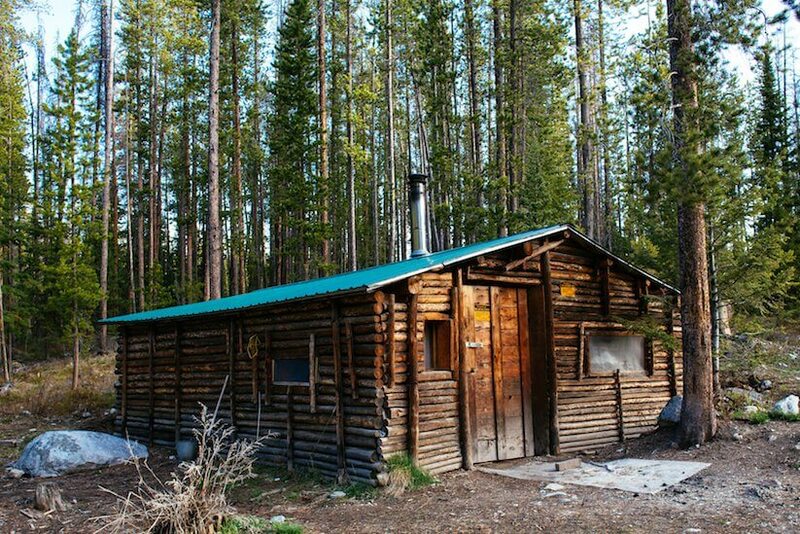 Having built multiple log cabins my answer is; Find the best spot to built your cabin! With the sun east to west facing the cabin is the best. Another one? Be friendly with your neighbors! Tod is the founder and owner of Golden Eagle Log Homes which has been building log homes since 1966. The #1 tip is to work with a company that has a solid reputation, plenty of experience (so they are not practicing on your cabin) and treats the homeowner with respect from day one. 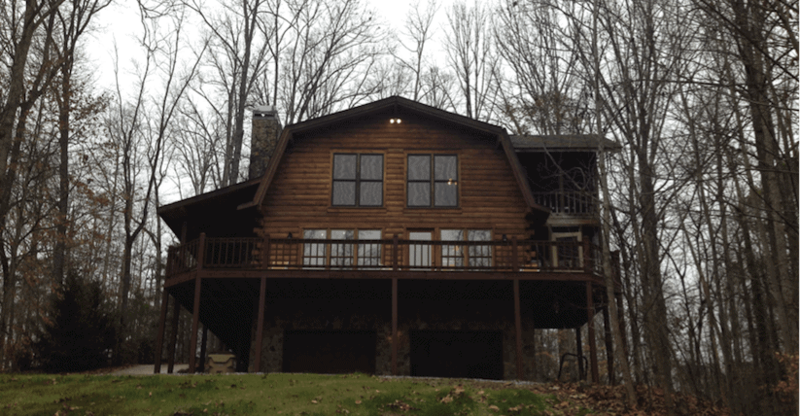 Mark Long is a log cabin designer from Old Virginia Log Homes. Air-dried logs are superior to kiln dried logs. When logs are air dried correctly, typically 6-8 months, they acclimatize to the atmosphere. Meaning the moisture content in the log evens out to what it would be like when it is used in a log structure. So you get minimal movement in the home and no need for adjustments on a regular basis. Yes there will be pops and checking but that is normal. Kiln dried logs are just that, the logs are put into a kiln and dried. Once the logs are removed from the kiln and placed in the atmosphere they swell up with moisture. If they are cut and put into your home at this point there will be issues as the logs acclimate and begin to shrink. This is why many companies are now selling maintenance packages. Justin owns Brookridge Log & Custom Homes who are the authorized dealers of “The original Lincoln Logs”. I believe the single most important tip when building a log cabin home is to build for your lifestyle. Log cabin living can be as unique as the lucky individuals that choose to embrace this style of home building. Whether its ultra rustic – with exposed beams, natural resources (like stone, wood and reclaimed timbers) or ultra contemporary with lots of fixed glass, metal and painted interiors, log home living is a lifestyle that brings a homeowner back to nature. It is important to focus on the details of the home rather than the square footage. In the past, customers were focused on larger homes- typically above 2000 square feet, while the current trend is for smaller cabins that are well appointed with features that reflect the personalities of their inhabitants. Jeff Elliot is the owner of coventryloghomes which is a family run business specializing in high quality log cabin homes. I believe the most important tip is to always go for the highest quality materials you can afford. It makes a huge difference in the life of the home and in the long run it will actually save money and time. David is the Chief Executive Officer at Maine’s largest white cedar mill – katahdincedarloghomes. I think my single most important tip would be: “Before starting the purchasing process talk with past customers and see what their total experience was. Visit a couple of homes from the companies that you are considering – make sure that these are independent of the corporation. Be sure to look over the completed product and see how much the logs have settled and shrunk over the first couple of years. Dryness of the logs provided in the package is probably the single most critical factor when selecting a company. Drew is a business manager for Beaver Mountain Log & Cedar Homes who build premium log homes. 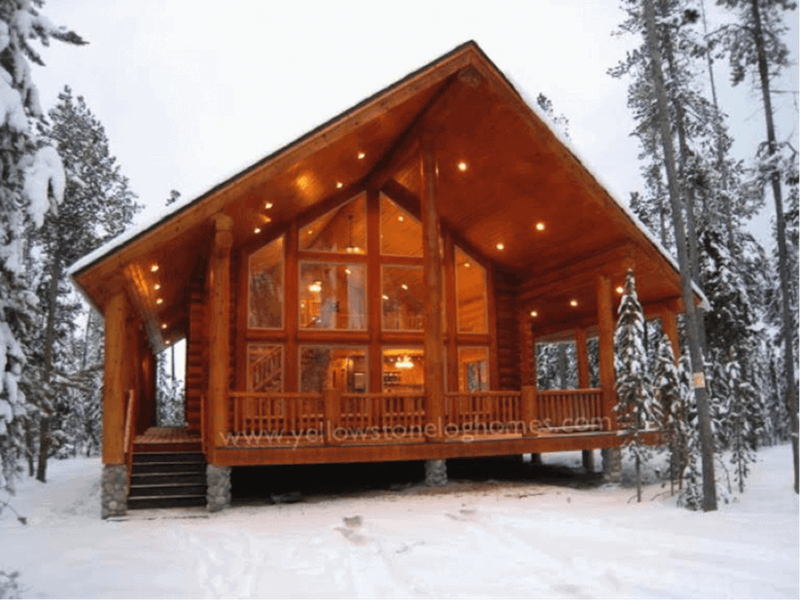 The most important advice we can give is don’t buy a log home package/kit without knowing the true turnkey cost and that you have the ability to fund the entire project. All too often we hear of people who bought from company X and can’t finish their home for what the company said it would cost. There are so many variables in building a home that the customer really needs to sit down with the log home producer and the builder together to get firm costs before buying a kit. Taylor has built his own log cabin and has been featured in log cabin magazines and books. 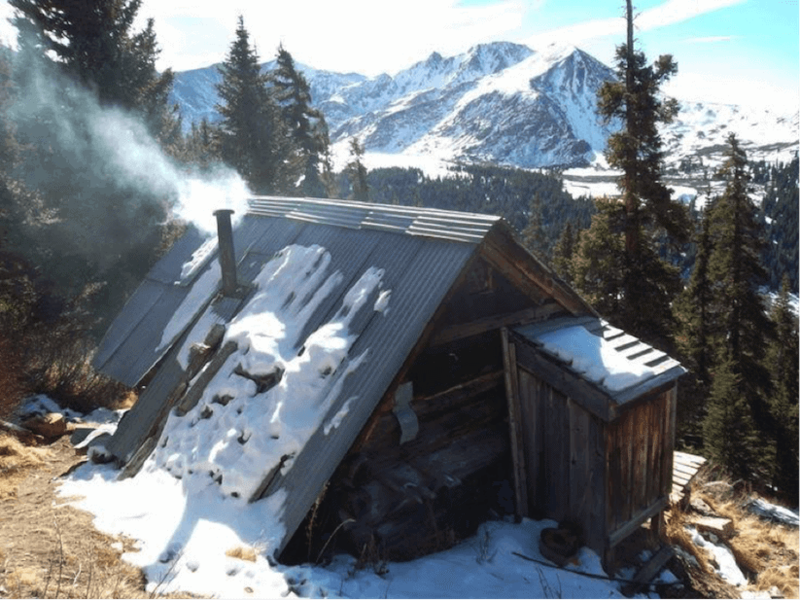 My best piece of advice would be In the Rocky Mountains, find the perfect wood stove and build your cabin around it. The interior of your cabin should be dictated by how the heat will best work in that space to maximize efficiency. Stephanie is a marketing officer at PFB Custom Homes Group who are log cabin designers and builders. First of all, there is no single tip that will magically make your project a success. Especially when you consider that every person has their own unique goals and building parameters. But I can say that after interacting with thousands of potential homebuilders over the last 25+ years, the most common bit of advice we could give is to remember that you are building a home, not just a log shell. Make sure that you keep this in mind through every stage. From determining realistic turnkey costs to setting building schedules. Make sure you account for everything and try to keep from making assumptions. David is the author at log cabin hub – an online community to share log cabin advice and tips. 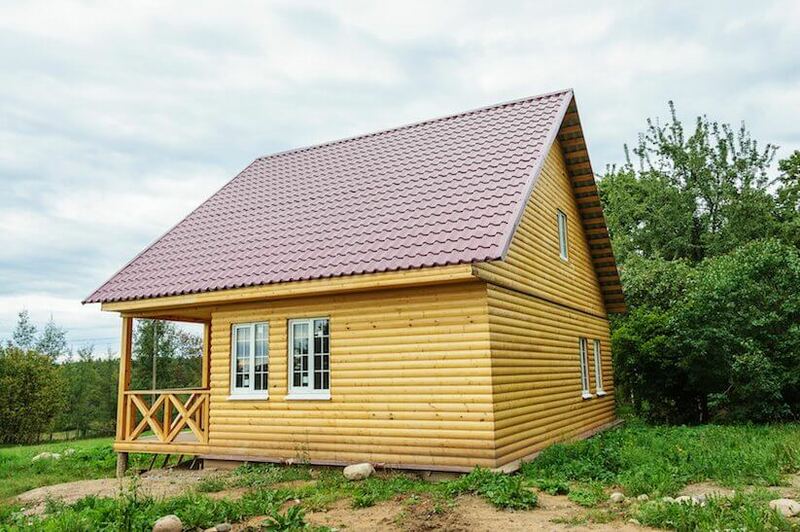 The most common piece of guidance I give to people when considering building a log cabin is to really understand the topic. Buy some books, watch some YouTube videos and read some blogs on log cabins to better your knowledge to make sure you avoid common mistakes. Once you are knowledgeable on log cabins then you have a much better chance of getting the design and build right! Dorie is the Vice President of applog who build Appalachian Log Structures in West Virgina. The single most important advice for building a log home is purchasing a quality log wall building system. The log wall is what makes the home sustainable for many years, so it is imperative that the logs have been grade stamped, pressure treated for wood digesting insects and decay, and designed for settling. Ruskee is a log cabin owner in the United States. The most important thing is Location, Location, Location! It took me many homes to figure that one out and it’s probably THE most important thing. Will my cabin face south? What’s the average temperature in the middle of winter? Is there a hill to block the winds? If there are high winds, where are the trees going to fall? How deep is the well water? Like I said: location, location, location. Janet Wilson a log cabin enthusiast and owner in America. The biggest mistake I made when building my cabin was to apply my caulk to seal the logs before applying my first coat of staining. As I used an oil based caulk the stain didn’t stick very well to it and it gave an unpleasant finish. My advice would be to always apply a first coat of stain before caulking or chinking your cabin the future. Ron is head of corporate sales at Ward Cedar Log Homes who are America’s first manufacturer of log cabins. We think the most important tip is to find a reputable builder. 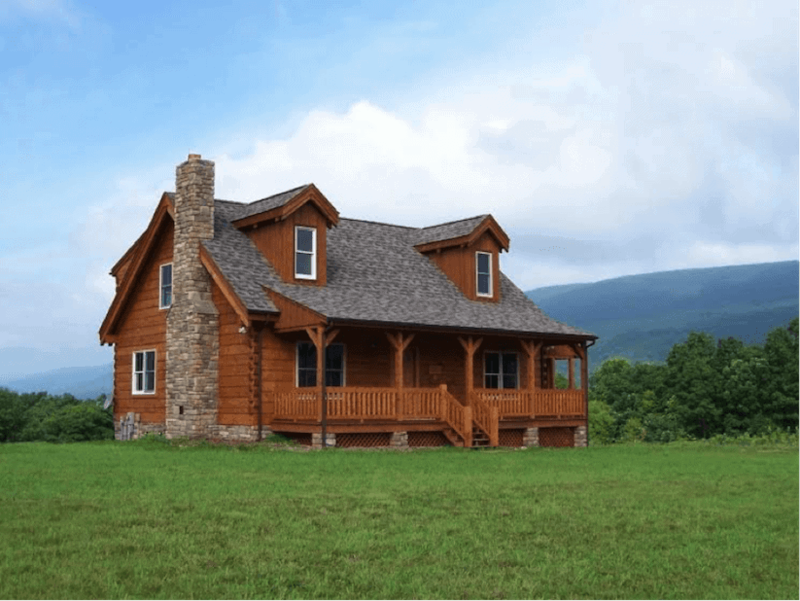 Finding a builder for your new log home can be an overwhelming task and is one of the most important decisions when building your new log home. Homeowners put a lot of time in researching their dream home they want to build and they should invest the time in finding a builder to assure their log home investment is built correctly. Jeff Jones is a log cabin owner in America. The one thing I wish I’d considered before building my log home was the difference between manufactured logs or naturally harvested logs. Having now built three log homes, the vertical wall shrinkage is a very important factor, which isn’t really talked about. Sealing between manufactured logs is much easier. Also with naturally harvested logs chinking becomes more of a maintenance issue. So that’s it folks! 21 log cabin owners, builders and manufacturers have shared their best tips, tricks and secrets for making your log cabin project a success! We really hope you have found insights and tips that you can now use and apply when building your log cabin home. It would be great to hear from you if you have any thoughts on the advice or any tips to add to the list – why not leave us a comment below?! Just enjoyed reading the article of builders share their #1 tips. Wanting to build a log home myself. You seem to be a good source for info. My number 1 thing to do is finding your appraisal costs. That’s the problem we ran into, we purchased land and put our home on a 3 year lay a way. After 2 years when we where getting ready to build and got all our costs bids. After doing our final loan appraisal we found out that we where over building for our area by $60,000. Most of the home’s in our area where hard to find building comps for. My advice is get an appraisal of you area so you know how much you have to build with. We purchased a $75000.00 home package $120000.00 contractor costs Highest appraisal $150000.00 and most banks go 80% of that $120000.00. So your building a $195,000.00 home with a value of $150,000.00. So you $45,000.00 in the hole. 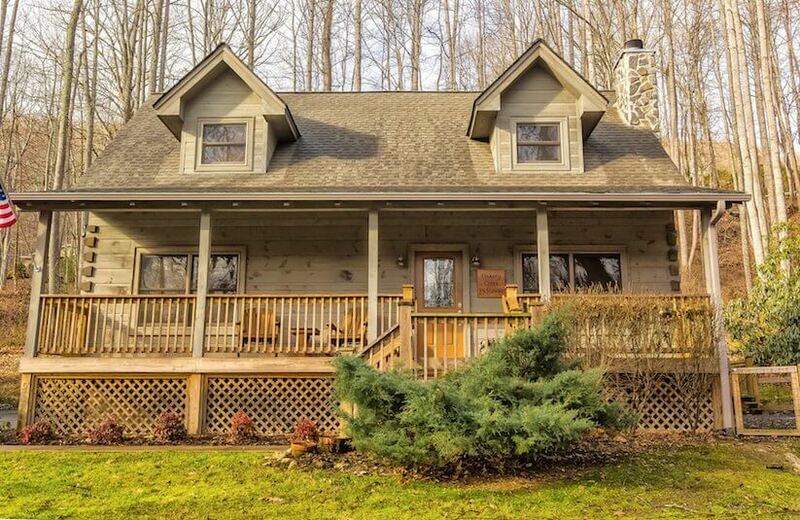 We just purchased a log home that was completed in 2008. What kind of maintenance of the checking of more than a 1/4 of an inch? We have sveral logs that have up to an inch width checking. None are directly exposed to the elements. Thank you for any responce from your experts. To second another comment, get an appraisal! 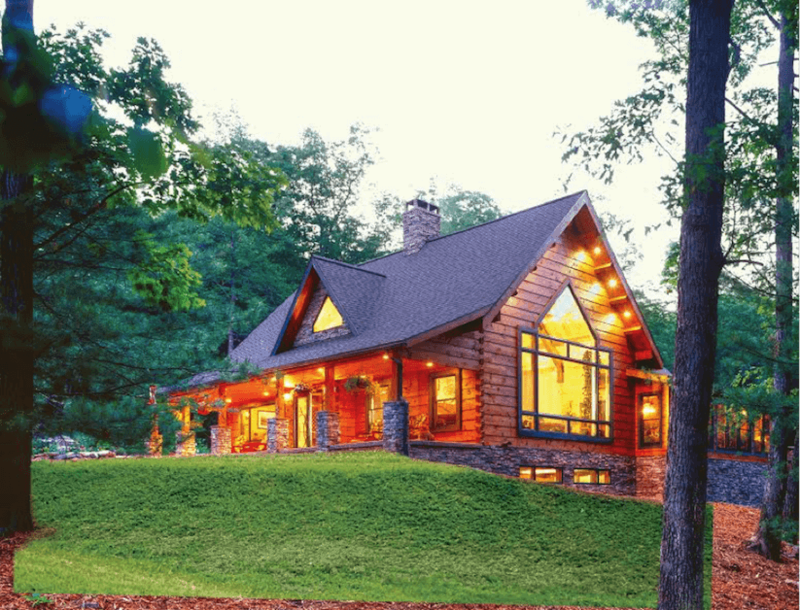 When working with a log home company, you often have to put up 10% of the materials cost before they will send you the first round of plans…..which your bank wants to do an appraisal. Get as close as you can to finished plans for your bank to go get an appraisal on. Once you lay down the money for those plans, you’re in. If you are also putting in a well, septic, and have a site engineer, find out those costs so you can roll into the loan amount. You may have thought you could afford $180,000 worth of materials, with $120,000 worth of build and septic/well…..but the bank wants to see all of it. they won’t loan you the amount you may need if the comps dictate otherwise. Be ready for a hefty downpayment if you plan for this to be your forever home. In our case, we already had the land with one bank…..impossible to get another bank to give a loan for the home….so we were forced into using the first bank (which thankfully is wonderful to work with and had the permanent construction loan package we needed). Another tip – stay in constant communication with your agent at the log home company, the project manager, and the builder. Introduce them to your architect, your site engineer etc. Ask questions. Never assume. And remember – you can always upgrade the interior (cabinets, fixtures, floors) but you can’t re-do the outside. Take as much time to get it right as you need – don’t let a bank or salesman rush you (although we did score a free garage with our package because our decision came in during that month!). Thank you so much for all of your advice, I’m sure many people on here will find it incredibly useful! How is the project going? Any updates? In terms of impact fees and utilities what did you learn and how much did those add up to? Also, did you have to clean up trees on your lot? if you did how much was that? I live in Cold Spring , N.Y. and interested I buying a cabin. We don’t sell cabins, we provide information and guides for people who are interested in building their own log home.